Our all-inclusive managed workspace solutions are ideal for companies seeking swift access into tailored office space, for requirements of more than 50 people and for periods of between 2 – 5 years. An all-inclusive managed workspace solution provided by SO Advice, enables a more flexible alternative route to traditional office leasing. It’s particularly beneficial when self-sourcing, for self-procurement and when using your own facilities management isn’t appropriate. 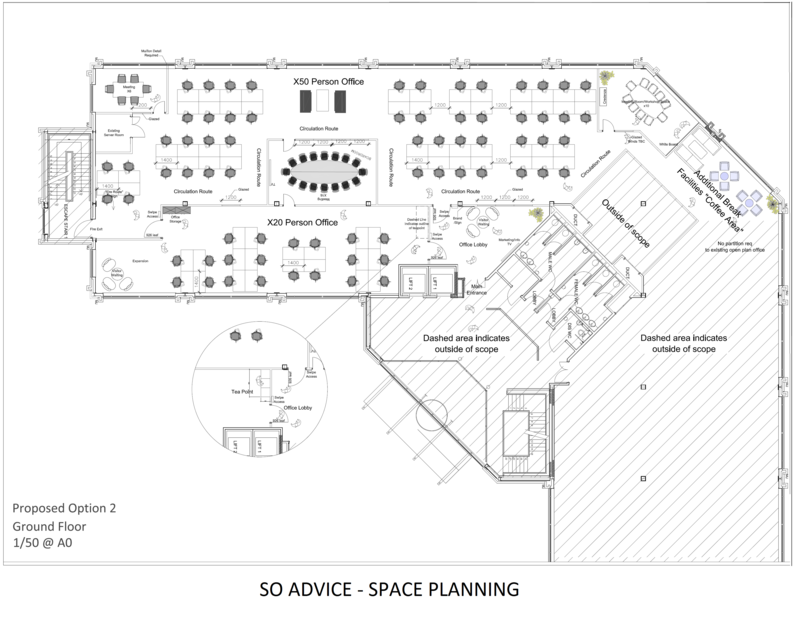 SO Advice provides the perfect solution for short to medium term office requirements and fills the gap between a conventional lease and a serviced office. Based on a client’s detailed brief SO Advice handle the whole process seamlessly. For a fixed all-inclusive price our service includes sourcing, negotiating, leasing, fitting out, dilapidations and managing the perfect office space for your specific needs for the whole term, in the most cost-effective and risk-free way.